Iraq is actively seeking to benefit from the South Korean experience in developing health and agriculture sectors, providing modern irrigation systems, laboratories for the production of agricultural materials, development and construction of roads, reconstruction and construction of schools, as well as the opening of factories for assembly and production of the Korean automobile industry, Prime Minister Adel Abdul Mahdi said on Monday. The meeting was attended by South Korean President Hanegong Pyeong-dong and his accompanying delegation, including Vice President of Hyundai Construction Co., Chairman of Kai Aerospace Industries, State Department officials and the Korean ambassador in Baghdad. "The Iraqi citizen is confident in the Korean industries and we are interested in cooperating for the benefit of the two countries and to employ the largest number of Iraqi manpower, graduates and engineers in the South Korean companies and to transfer their diverse expertise to Iraq," the Prime Minister said in a statement to his media office. Korean response to the establishment of a heart disease hospital for children, and specialized health centers needed by Iraq. The president and members of the Korean delegation expressed their desire to develop relations and transfer the necessary expertise and technology to Iraq and to open factories for the Korean car manufacturers in Iraq and the use of spare parts from the Iraqi market, and achieve the system of e-government, which is South Korea a leading country, pointing to the direction of specialized teams in coordination with Korean The Iraqi Iraqi to locate the heart hospital for children, in addition to a site to collect cars, and willingness to respond to the demands of the Prime Minister to develop sectors of health, agriculture and roads and housing and schools in a fast manner, To absorb refinery in Karbala to five thousand Iraqi workers. 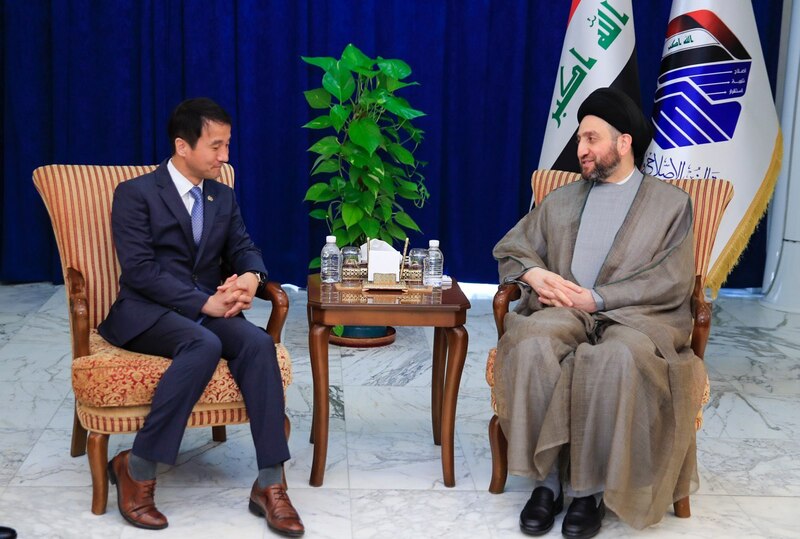 Search Chairman of the Alliance of reform and reconstruction, Ammar al - Hakim, on Monday, with the private South Korean President Biondo Han envoy and his accompanying delegation developments of the situation in Iraq and the region and ways to strengthen bilateral relations between Iraq and South Korea in all fields. "Ammar al-Hakim stressed the openness of Iraq to the countries of the world and the establishment of balanced relations with all and the possibility of building economic partnerships, especially with South Korea, because of the companies of Korea's patience and experience," said a statement from his office. 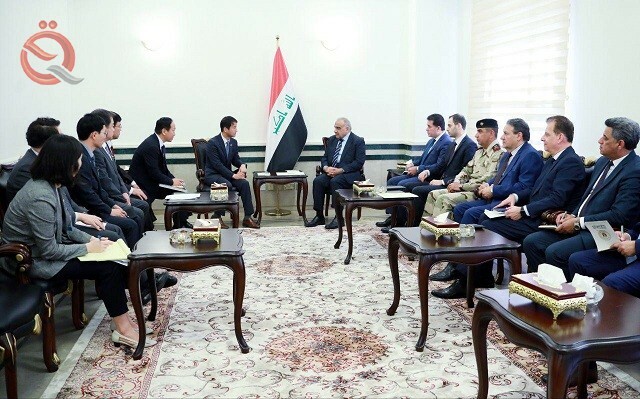 Hakim praised the "humanitarian positions presented by South Korea as well as its contribution to the fight against terrorism and security cooperation," stressing that "the benefit of Korean expertise and the training of Iraqi cadres in the medical and other fields."